Gifts is without a doubt my mother’s love language. I swear she spends a majority of her spare time buying things for my sister and I. The remainder of her spare time is spent cooking delicious food, tending to her two spoiled puppies, and reading a New York Times subscription that doesn’t belong to her but keeps accidentally being delivered to her address. Anyways, she gifted me this adorable (albeit slightly uncomfortable) pair of sandals last week. 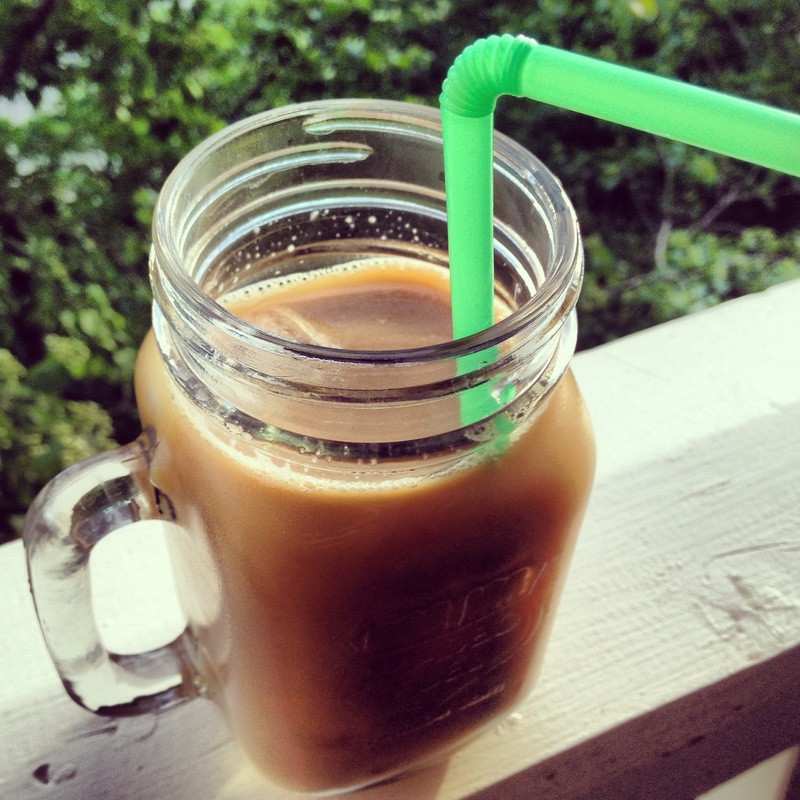 Perfect with a summery white sundress. 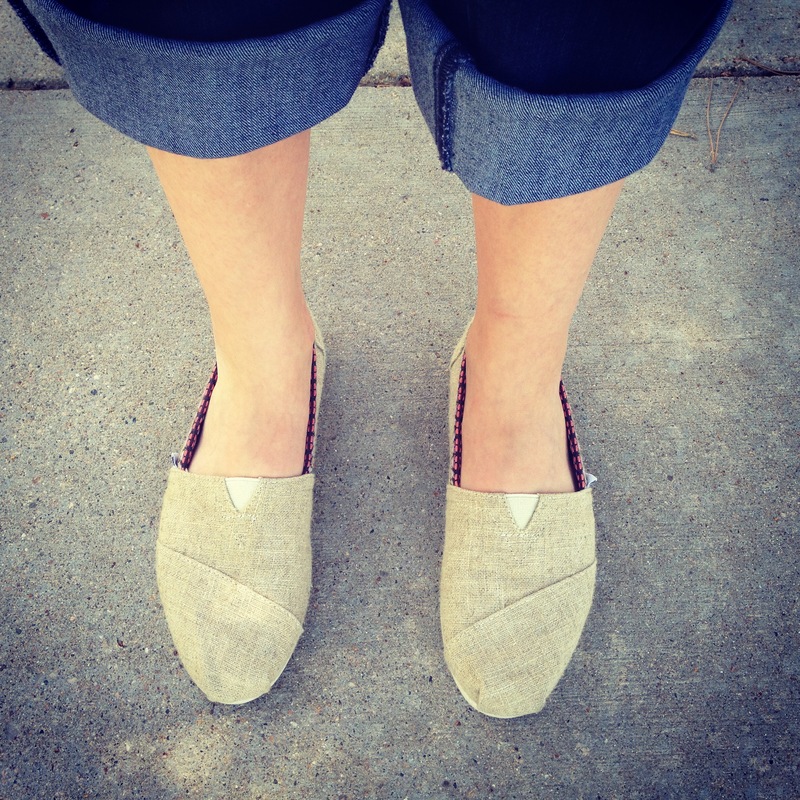 Speaking of things my mom is gifting to me — she FORCED me to take these Toms home last week. A majority of my spare time is spent trying to convince my mom that I don’t deserve all the gifts she gives me and that she should buy something for herself. Somehow I went from thinking Toms were the ugliest dorkiest shoes ever — “I’ll never wear those!” — to owning two pairs and thinking they’re actually pretty cute. This pair is infinitely more comfortable than my lacey ones, which I keep wearing in hopes that the elastic on the top will finally stretch out. 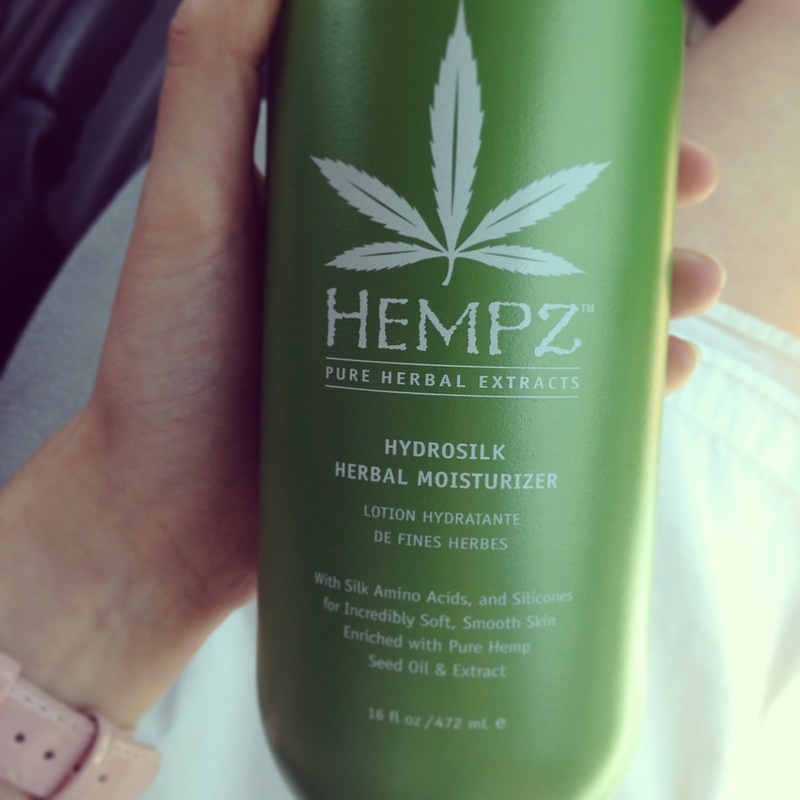 I’m cheap and usually buy some junky body lotion, but for Christmas, my mother gave my sister and I each a bottle of the Original Hempz Body Moisturizer and now I’m hooked. Ahem, please note more motherly gift giving 🙂 I ran over to Beauty Brands last week to pick up some more and they were out of my beloved Original, so I purchased this instead and I LOVE IT. It smells unbelievably good and is nice and light — perfect for summer — plus it was on sale! Strawberries will forever be my favorite fruit, but next on the list if definitely stone fruits. 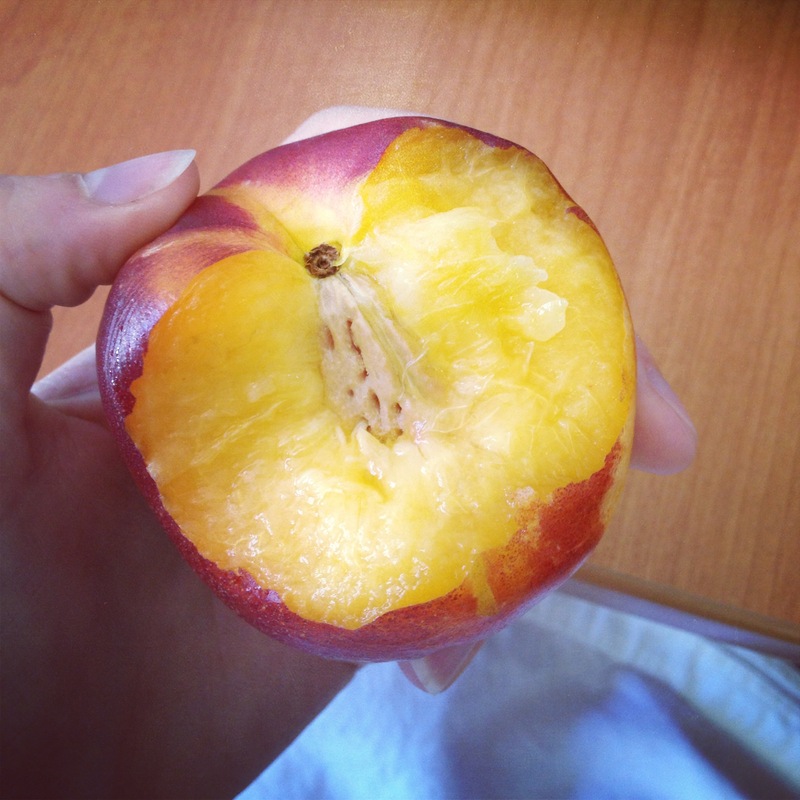 Peaches, nectarines, plums, apricots, cherries. Love love love all of them. I think this may have something to do with all the fond memories I have of eating them as a child. During the summer, my mom seemed to always keep our fridge stocked with a bowl of plums or a bag of ruby red cherries, clearly intended for me to eat all in one sitting, right? There were many great things about the house I grew up in, but the one I will miss forever was the great patio in the backyard. My dream home will have a big wrap around front porch, with rocking chairs for sipping coffee and people watching and a backyard patio for summer grill outs. Wait, I promise I have a point. Joey and I have been sitting outside on our lunch break (in the shade, of course) and opting to sit outside when we go out to eat and dining al fresco is where it’s at. Okay, enough of my rambling. What are you loving lately? I am loving summer activities and food a little too much lately……and my clothes tell all, lol!! Ha ha, I feel the same way Helen! 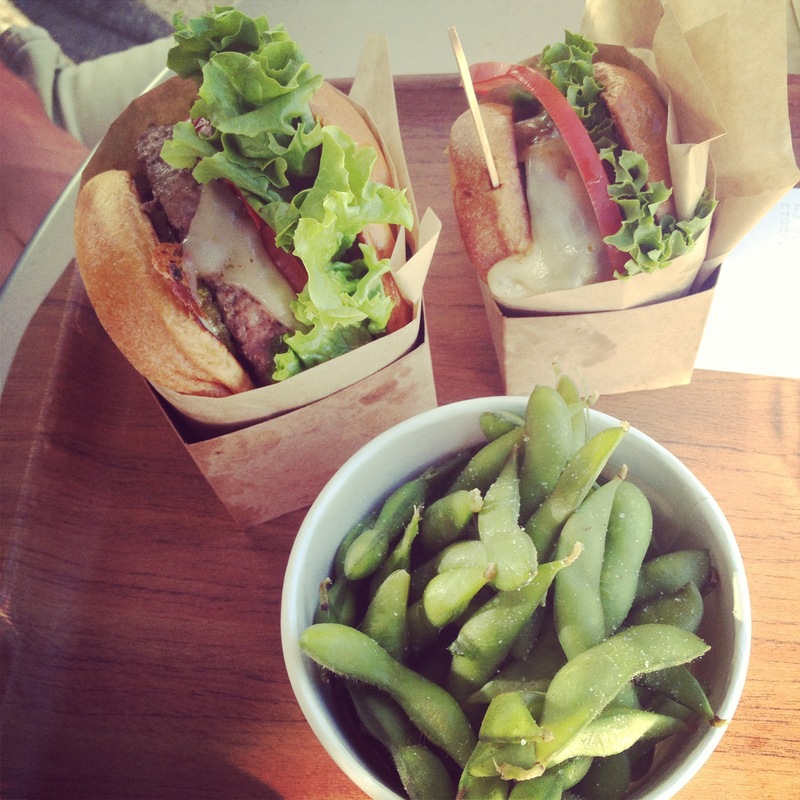 It’s so hard when the weather is nice and there’s fun things to do (and eat!) all the time, though! I have been LOVING me some peaches lately! I got a couple of duds at the beginning of the season, but for the last few weeks, all the ones I’ve picked up at the farmers’ market have been THE juiciest!! That hemp moisturizer is the best! I got a small gift set once for Christmas that had the moisturizer and some of their tanning lotions and I remember it smelling SO good! 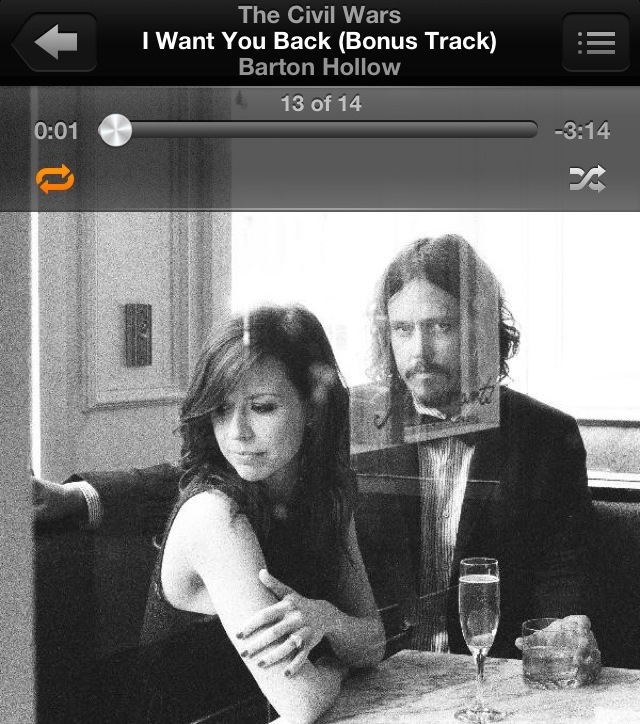 And seriously, first time I heard Barton Hollow, I went straight to iTunes and downloaded that CD…and now that is probably the song I listen to the least! I love their sound! Gah, I need to get my hands on some fresh peaches ASAP!